On 19 May 1978, the TV presenter Anthony H. Wilson started The Factory, a series of club nights at the PSV/The Russel Club in Hulme, Manchester. Among the bands billed for the 4 opening nights were The Durutti Column, Cabaret Voltaire, and Joy Division. The poster for the evenings was designed by Peter Saville (2), who soon became a partner of Wilson and Alan Erasmus. In October 1979, producer Martin Hannett joined as a director too, followed in 1980 by Rob Gretton (manager of Joy Division & New Order) as fifth partner. The club night was a success and led to the release of the double 7" EP "A Factory Sample" in January 1979. This EP marked the beginnings of Factory as a record label and featured bands that played at The Factory. When Wilson told Saville that their EP would be FAC 1, Saville replied that his first poster for the club was FAC 1 and the EP would be FAC 2. Factory set up its first headquarters in Erasmus' flat on 86 Palatine Road, Didsbury, Manchester, where it resided until 1990 (a blue BBC plaque was erected there in June 2017). It then moved to 1 Charles Street, Manchester and was allocated cat# FAC 251. Factory Communications Ltd. (FCL) was officially established on October, 24 1980. In October 1989, Factory launched the Classical label to, according to Wilson "wrest the reins of classical music away from middle-class wankers in dinner suits". Among the first acts are Kreisler String Orchestra and Steve Martland. In September 1991, news leaked out that Factory was near to bankruptcy and some record companies, including Mute, London Records, and Warner Bros. Records, made bids on the label. The label was not sold though, and claimed it had sorted out its finances. This proved not to be the case, and on "Black Monday", 23 November 1992, Factory Records went into receivership with a £2.5 million debt. A last minute saving arrangement with London Records collapsed when it became clear that, thanks to their no-contract deal, New Order -and not Factory- owned the rights to their material. Factory constructed its own history by cataloging not only records, cassettes and videos, but also important events, posters, badges, TV programs, concerts, T-shirts, buildings, stationery, advertising campaigns etc. (see below). Factory pioneered indie label principles such as the 50/50 profit share, and most of their record deals (until the later years of the label) were done with a handshake and not a contract. After the bankruptcy, Wilson would occasionally allocate FAC numbers for special Factory-related projects and events. In 1994 Wilson launched a new label, Factory Too, with some releases coming out in conjunction with London Records. He also released a series of anthologies and re-releases from the Factory back-catalogue via London under the name Factory Once. He then started the label Factory Records Limited, this time without a cooperation with London Records. All imprints quietly disappeared around 1998. This was followed by a short-lived digital download project called "music33.com". In December 2004, Wilson announced that he was launching the "fourth iteration of the Factory imprint", F4 Records, again failing to amount to much. Many titles from the original Factory catalogue have been reissued by the LTM (4) label. In an attempt to preserve the Factory brand and name, LTM owner James Nice, together with Alan Erasmus, Peter Saville and Tony Wilson's son Oliver, set up Factory Records Ltd. in June 2010. However, the idea was never seriously pursued and given up after one release only. Since March 2013, Factory Records Ltd. is owned by Saville alone. A dramatised history of Factory Records is portrayed in the movie "24 Hour Party People" (2002, FAC 451). Martin Hannett died, aged 42, on 18 April 1991, as a result of heart failure. Robert L. Gretton died, aged 46, on 15 May 1999 of a heart attack. Anthony H. Wilson died, aged 57, on 10 August 2007, of a heart attack, already suffering from renal cancer. He was buried in Southern Cemetery, Manchester. His coffin was numbered FAC 501. Note: The label has been known on releases under slightly differing names: starting as "Factory", then "Factory Records" and later back to just "Factory" again. FAC 131: Poster: "It isn't only lowlife who record for Factory"
FAC 171: "Compact": US release of FACT 50 celebration with video/sculpture at White Columns Art Gallery on 30/09/86. Also poster and invitation card with number. FAC 211: Joy Division - Wired: 18 minute Channel 4 documentary about FACT 250 release on 01/07/88. Also: Unrealised concept "Book Of Numbers"
FAC 253: Bet between Tony Wilson and Rob Gretton on Technique going into the Top 5 or Wilson resigns. Neither happened. FAC 265: From Manchester With Love: Heart shaped image with Stars and Stripes used on info sheets, shirts and banners during the New Music Seminar, July 1990. Also used for the Hacienda's trans-American tour 'The United States Of The Hacienda', June-July, 1990. FAC 281: Prenez Votre Desirs: Factory memorabilia store at Affleck's Palace, Oldham St.
FAC 286: Classical Showcase: Launch of FACT 316 to 356 at London's Bloomsbury Theatre (29-31/10/90). FAC 351: Book: Jon Savage - The Hacienda Must be Built! 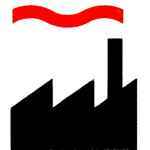 Happy 40th birthday to Factory and the Movement of 24th January. La lotta continua. as a graphic design student now on for my BFA..factory was the reason I got into it back in highschool. I cite peter saville as my influence to no end. The design of 4AD by another influence of mine Vaughn Oliver with 23 Envelope will never ever compare to the graphic identity of Factory. Tony Wilson and ALL at Factory not only established the coolest label of the modern era, but certainly grasped what the Punk ethos was actually about despite the ramblings and posturing of Mclaren and the rest of the "inner circle". I belive that the 'Hacienda Club' was also issued a fac# so it's not a collection that sadly anyone is ever likely to complete now. It is without doubt though the total commitment to the image of the label, as well as that of the music they released, that has earned them their status as a design icon. It must be pointed out that many Factory releases are not actually records/CD's. Fac1 for example is the poster Peter Saville produced for the opening of the Factory Club as are fac3 and fac4. Other early 'facs' range from note paper to badges to membership cards. Collecting every Factory 'release' has become an obsession to many. Rob Gretton, Martin Hannett and New Order. music they felt in their hearts.